Concrete is the world’s most common building material, and a particularly long-lasting one. Concrete structures from the Roman Empire still stand today. But it’s not indestructible, and when this cement mixture cracks under pressure, it’s both dangerous and expensive to fix. Cracks in concrete allow in salt and water that can corrode the steel reinforcements inside. No one wants a bridge, high-rise, or dam to suddenly break apart. To make it easier to repair structures that are hard to access—in extreme environments, supertall skyscrapers, or underground—engineers are determined to create a concrete that can fix its own fissures through naturally occurring reactions. 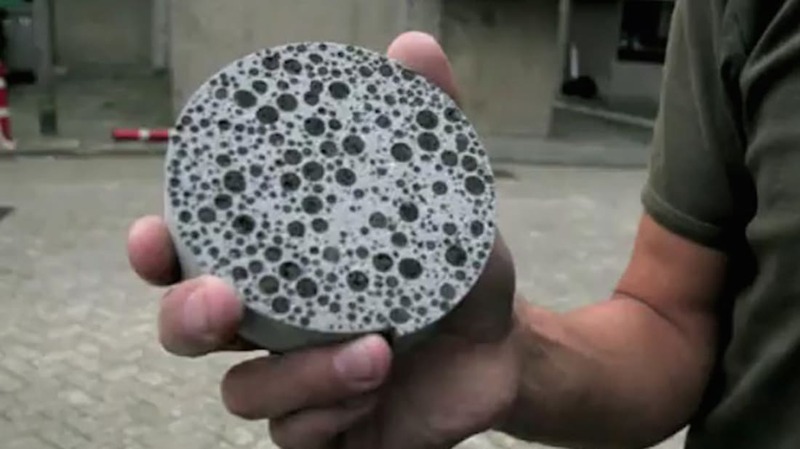 One self-healing concrete prototype starts to work when exposed to sunlight. Another, developed by researchers at Delft University of Technology in the Netherlands, uses bacteria to mend its own cracks—no sun required. Bacillus bacteria are added to the concrete—a blend of cement, sand and water—during the mixing phase. The bacteria feed on capsules of calcium lactate that are water soluble. When moisture enters the concrete through a new crack, it opens up the capsules, allowing the bacteria to feed, germinate, and multiply, and in the process form limestone that fills the cracks. If the concrete remains whole and sealed, no water can get in, and the bacteria remain inactive. Since bio-concrete only needs moisture to work, it's well-suited to heal underground structures in dams, basements, and more. Bio-concrete might be particularly useful in China, which used more cement between 2011 and 2013 than the U.S. did in the whole 20th century.